There are a lot of social media options out there. So many, in fact, that it can be tempting to dive into all of it all at once. There are better ways to tackle the world of social media, and Write Technology can help you figure it out. We’ll help you define your goals and identify your audience and to what tools your audience will best respond. We’ll talk about timing and when you should launch each tool based on your year-long calendar. Whether for your learning organization or for a targeted marketing campaign, we can help you spread your message virally and get buy-in from your users. We can also help you develop a blogging strategy. We believe that blogging is a large commitment and needs to be undertaken as either the main component in your social media strategy or undertaken on its own. We’ll help you decide which is the right decision for your organization. Defining clear goals for your blog, including audience and purpose. Picking the right application for blog, whether Web-based or internally hosted and customized. Learning how to write for blogs, including blogging etiquette and finding your blog voice. Michelle is also available to ghost-write your blog. 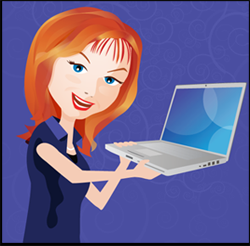 Simply provide background knowledge and she’ll create your blog posts. Write Technology also offers an interactive 4-hour session: The Art of Blogging. This class focuses not on the technology behind blogging, but the writing. The Art of Blogging includes defining an audience, understanding your goals, finding your voice, exploring blog etiquette, and more. We don’t just talk at you. The class is an engaging discussion to help you improve your blog.